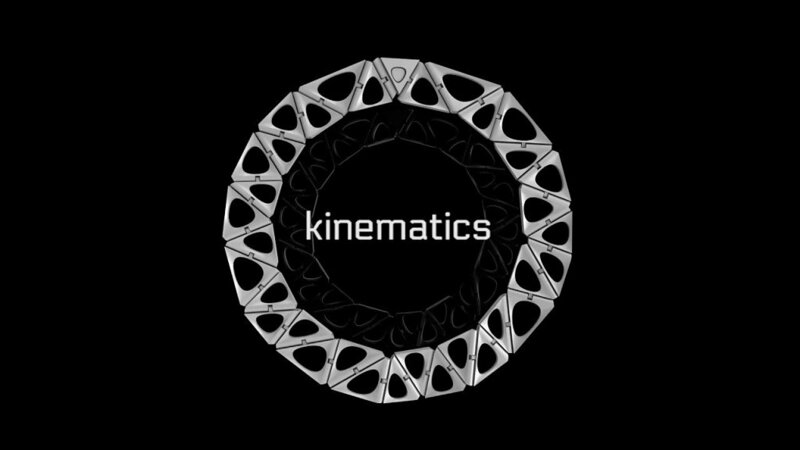 The Kinematics app allows for the creation of necklaces, bracelets and earrings. 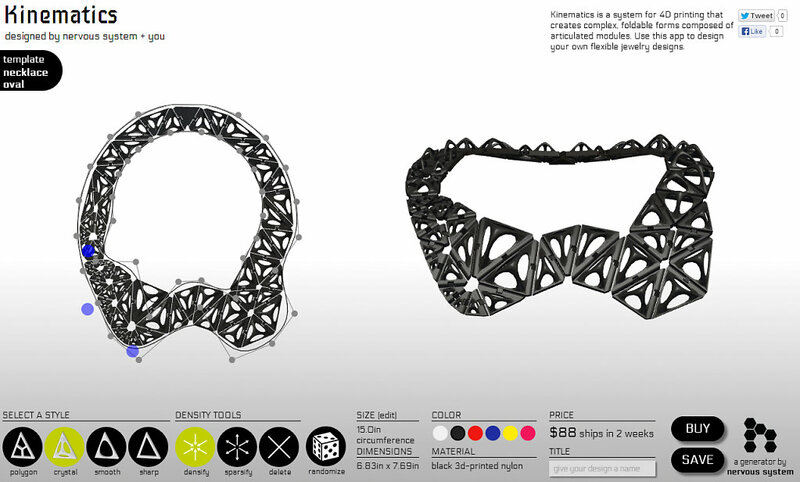 Users can sculpt the shape of their jewelry and control the density of the pattern. Designs created with Kinematics can be ordered in polished 3D-printed nylon in a variety of colors. 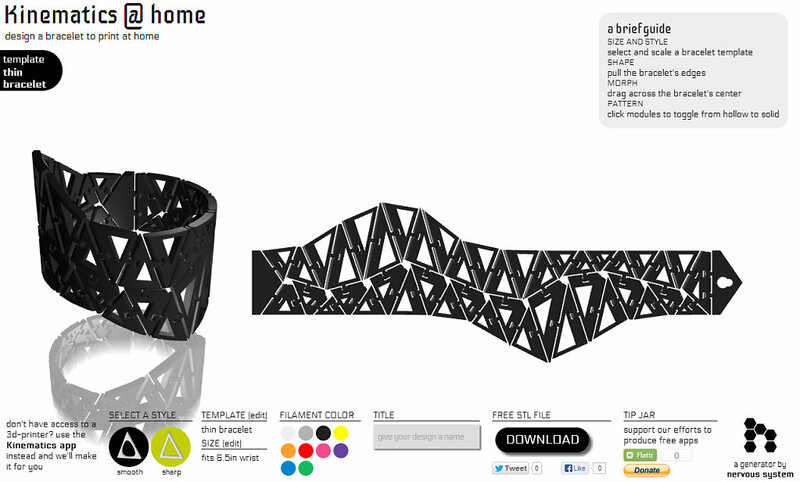 The Kinematics @ Home app is targeted at people who already have access to a 3D printer. It’s our first app that allows users to download an STL file for home printing. Enter your wrist size, style your bracelet and click print to receive a free STL file suitable for printing on a Makerbot or similar desktop printer.